800 Airport Boulevard is a uniquely designed, five-story inverted pyramid office building located directly on the San Francisco Bay in Burlingame, California. 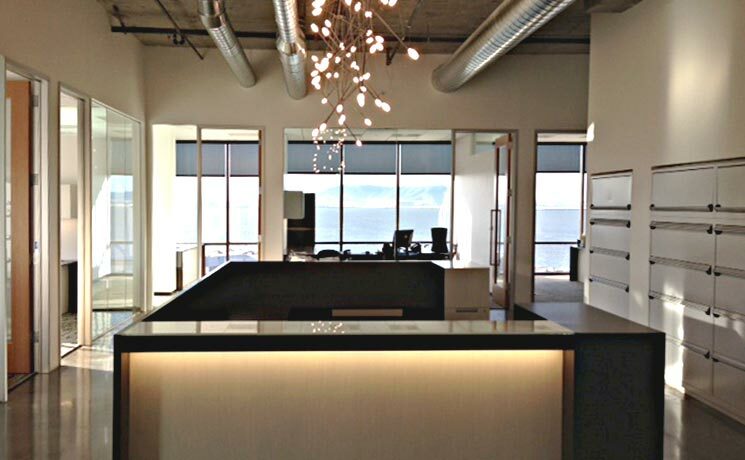 This Class A business environment is accentuated by spectacular Bay views to the east, and vistas of the San Mateo Hills to the west. The building includes spacious lobbies on each floor, and ample parking (both underground and surrounding the building), making the building easily accessible for both business and clients. 800 Airport Boulevard is in close proximity to the San Francisco International Airport (5 minute drive) and to the Palo Alto/Silicon Valley (20 minute drive), offering building tenants a close proximity to a variety of businesses located in the Silicon Valley region, including various start-up companies and technology-driven law firms. 800 Airport Boulevard is also minutes away from transportation via CalTrain (San Francisco to San Jose) and the BART station make 800 Airport easily accessible to other centers of business throughout the Bay Area. The ease of having the Mineta San Jose International Airport and the Oakland International Airport within 30 minutes allows for multiple travel options. Custom finishes suites from 800 sq. ft.
Use the link below to download a PDF rental application for this property. Print your completed application and submit it to the building manager by mail, fax or in-person. 800 Airport Boulevard is owned and managed by 800 Airport Boulevard, LP.